10 Must Try Cheesecake Recipes! 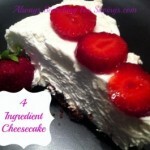 These is nothing better than Cheesecake, and the possibilities are endless on how you make it, and what you add to it! Cheesecake is my kryptonite, I just can’t resist it! 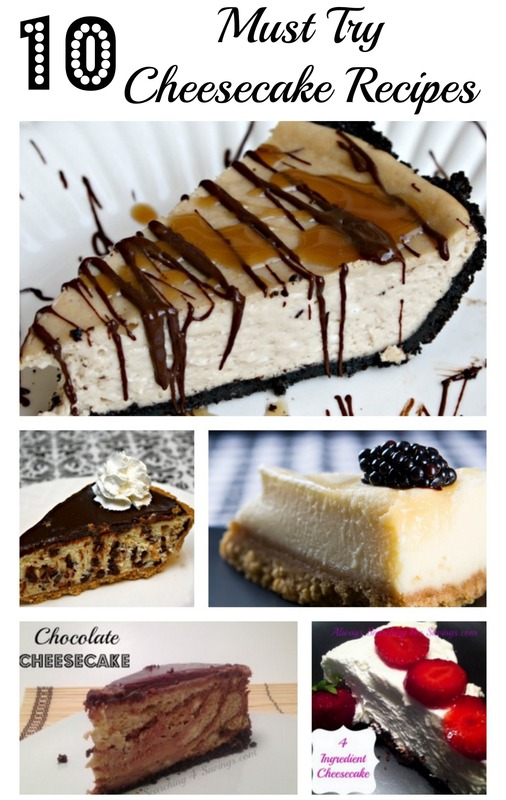 I have compiled a list of the top 10 Cheesecake Recipes that are a MUST try! From no bake, to peanut butter chocolate cheesecake and even a healthier alternative, that tastes just as amazing! 4 Ingredient, No Bake Cheesecake - So creamy and delicious, no one will know you didn’t spend hours making it! 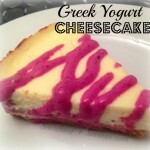 Greek Yogurt Cheesecake – Love cheesecake, but counting calories? Check out this yummy recipe that uses greek yogurt instead of cream cheese! 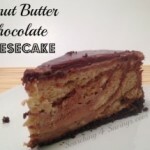 Peanut Butter Chocolate Cheesecake – Peanut Butter, Chocolate AND Cheesecake, I just died and went to Heaven! Easy No Bake Chocolate Cheesecake – Have 30 minutes? Then you have time to make this awesome No bake Chocolate Cheesecake! Pecan Pie Cheesecake – Growing up on Pecan Pie, this recipe combines the best of two worlds! No Bake Pumpkin Cheesecake - Why serve up plain old pumpkin pie this Thanksgiving, when you can serve this yummy No bake Pumpkin Cheesecake! Copycat Cheesecake Factory Cheesecake – I LOVE Cheesecake Factory, but 2 a hour drive is too far! So now I can make my own! Chocolate Chip Cookie Dough Cheesecake Bars – Another deadly combination of all things yummy! International Delight Mocha Cheesecake - Love Coffee AND Cheesecake? Check out this yummy Mocha Cheesecake! Oreo Cheesecake Bars - A combination of Cheesecake and Oreos is to die for! 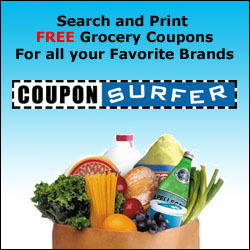 Looking for something sweet without all of the calories? 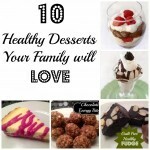 Check out these 10 Healthy Desserts That Your Family Will LOVE! I LOVE cheesecake! It’s one of my favorite desserts!!! Thanks for sharing my no bake pumpkin cheesecake recipe!!! Cheesecake is my all time favorite dessert and there’s not one here that I wouldn’t absolutely love!! I pinned it and emailed to a friend, too! Thanks. I love cheesecake but, get tired of the plain old. I like the ideas posted. Cheesecake is the perfect dessert! Now which one of these will I try first? My husband loves when I make cheesecake so I can’t wait to try some of these out!